I just read an article on health.com that grapefruit is among the 20 best foods to eat for breakfast. So we got juicing this morning with the amazing new juicer my lovely Raw Blend friends gifted me with. Since cold-pressed juices specifically are exposed to minimal heat and air, they're able to hold onto more vitamins, minerals, and enzymes present in the whole fruit. You can read more about this awesome Tribest Life Green Star machine here or watch the video below. They also have a dehydrator and I made some delicious vegan Eggplant Jerky. Wash and peel fruit and add into your juicer. Enjoy this chock full of nutrients, immunity booster drink! We reuse any plastic bottles and fill them up for our kids lunches. Make a fruit salad with strawberries, pineapple, sliced grapefruit, mandarin oranges, and grapes. Add some grapefruit slices to your salad at lunch or dinner. Compliment the oranges with walnuts or pecans, crumbled cheese, and a light balsamic or citrus vinaigrette dressing. Grapefruit juice is also used in several cocktails, such as the sea breeze (which consists of grapefruit juice, vodka, and cranberry juice); the salty dog, and the grapefruit mimosa. So get some grapefruit in your day as the health benefitsof grapefruit include weight loss, help to maintain a healthy heart, decreased risk of cancer, boosts up the immune system, helps in controlling diabetes, helps lower cholesterol, promote regularity for a healthy digestive tract, healthy skin, improvements in memory and cognition as well as the prevention of neurodegenerative conditions and lower a woman’s risk of stroke. Plus they are an instant mood and energy booster! We are so lucky they’re available all year round in Australia! Researchers from Japan found that nootkatone is a very rare and important compound found within grapefruits. Nootkatone improves energy metabolism in the body through AMPK activation. This results in higher education endurance and boosted energy, increased weight loss, and a reduction in the chances of developing diabetes. 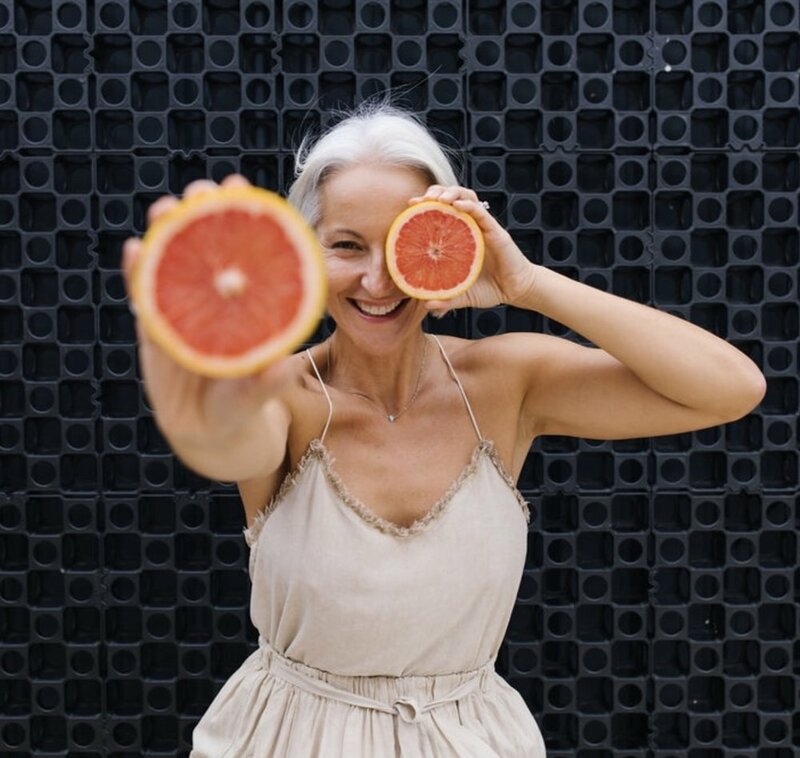 Happy Sunday and please share with me how will you incorporate grapefruit as part of your lifestyle? Don’t forget to watch how this amazing juicer works in action and all the health benefits it provides. Thanks again Tommy and Raw Blend team for this healthy juicer in our Stevens kitchen household!